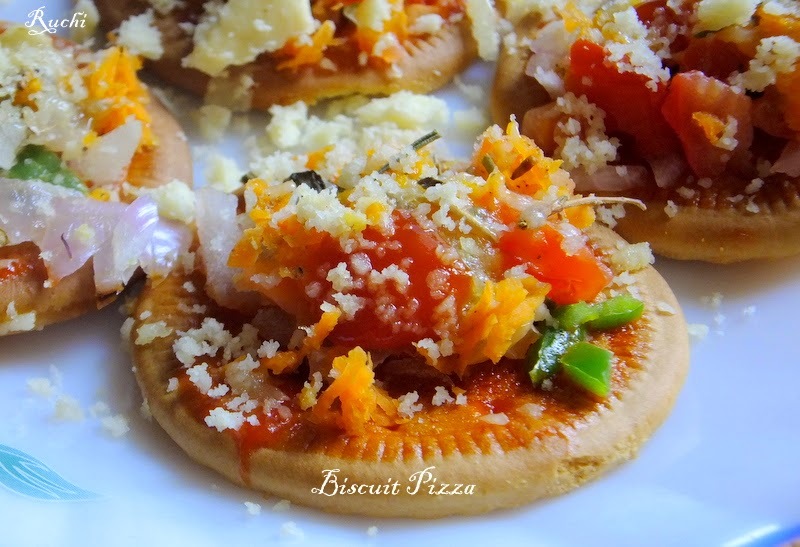 Have you heard Biscuit Pizza? 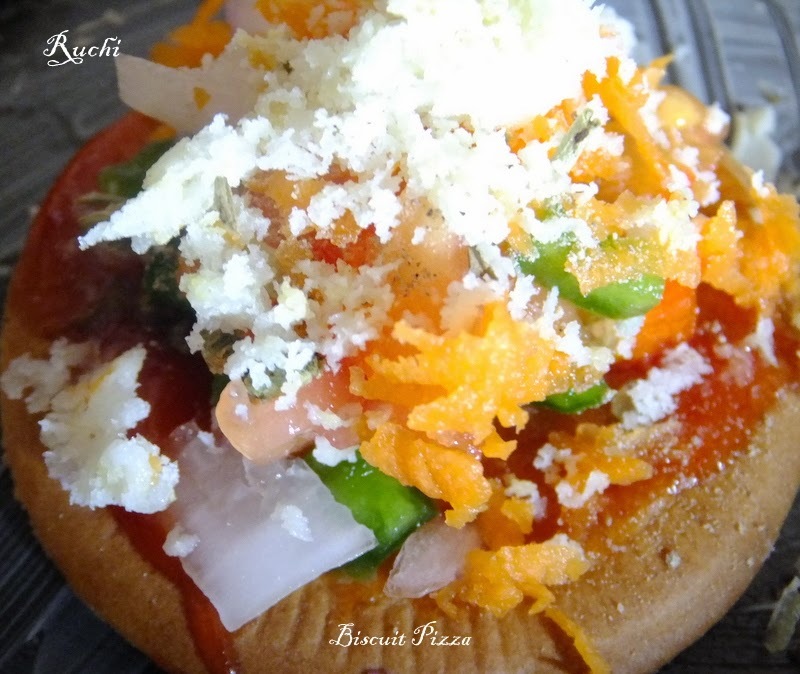 If you are one for an easy hunt for pizza recipe be sure to try this one. Normally we have multigrain biscuits or salted crackers at home every time. I tried this simple pizza with veggie toppings and it turned out beautifully! It is great Tea time Snack. My husband & children loved it! 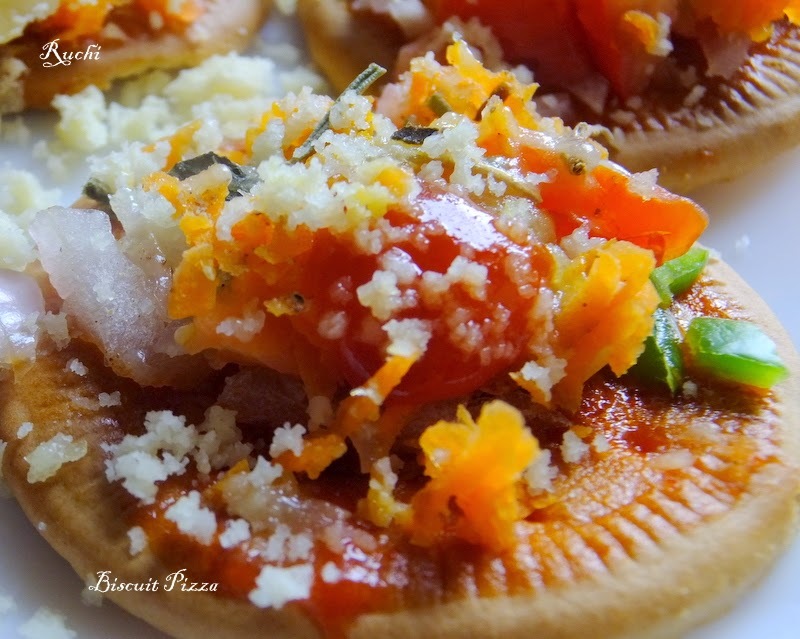 I used Plain Marie Biscuit for this Pizza! Spread oregano. Pepper, over biscuits and then spread grated cheese over it. Use different topping for different pizza. Arrange them in baking tray and bake up to 2 to 3 minutes or till cheese melts. Hot and mouthwatering Pizza is ready to serve. Serve it with fresh juice. So cute and attractive pizza, unique Akka..